Menu metrics - Adjust menu metrics. Show after will show the menu after user has scrolled certain amount of pixels. If set to 0 menu is always shown. Custom position will help you adjust menu top position. Add to menu - Add Hero or Footer sections to the menu. 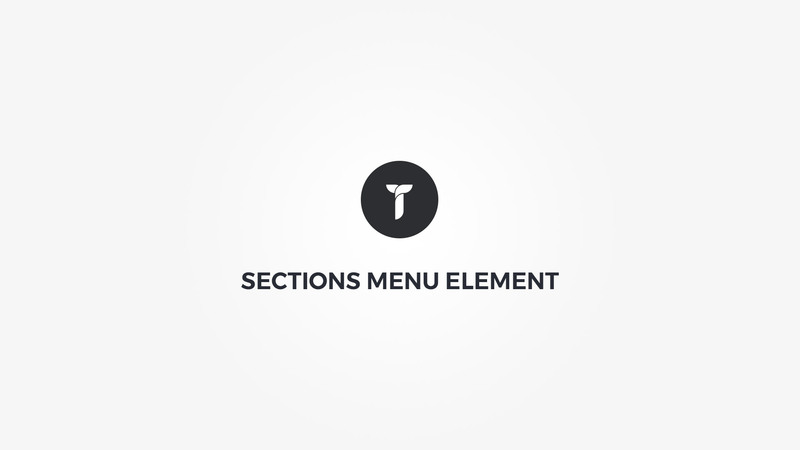 Menu box style - Adjust .thz-sections-scroll box style. Indicator colors - Adjust indicator colors.